Text Advertising on Homeschool.com is also available. 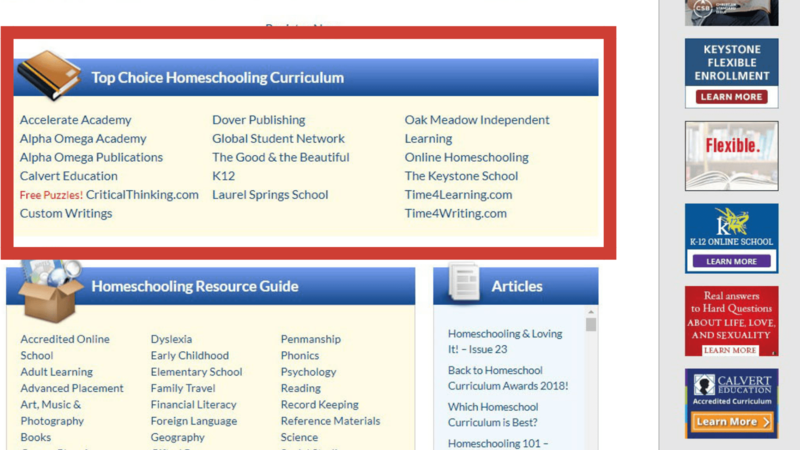 Text advertising is listed under the Homeschooling Curriculum headline on our homepage. Text advertising works for lots of companies because your company name and URL are center stage on our homepage. See examples of text advertising by going to www.Homeschool.com.